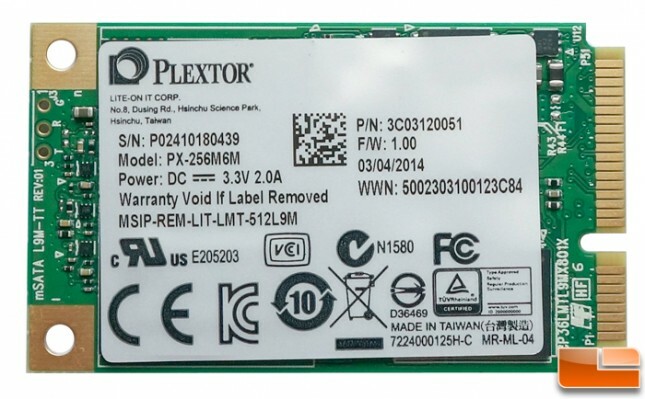 Plextor has released a number of M6 variants on the market recently, all featuring the Marvell 88SS9188 controller. Their M6S drives are the traditional 2.5″ form factor, the M6e is PCI-e based and we’ll be having a look at the Plextor M6M drive which is of the mSATA variety. There are some significant differences between this and the M5M drive we reviewed a little less than a year ago which we’ll get into when we have a little closer look at the drive. We received the 256GB version ( model PX256M6M ) but it also available in 64GB, 128GB and 512GB capacities and each carry the usual 3 year warranty although they are rated for 1.5M hours MTBF. Performance numbers are rated very similarly to the M5M as we see writes scale up in step with capacity where the 64GB drives reach speeds of 520MB/s reads and 160MB/s writes and the 512GB drives bump the writes up to 440MB/s while maintaining the same read spec as the rest at 520MB/s. IOPS performance as varies per drive capacity with reads ranging from 73K to 94K IOPS and writes from 42K to 80K IOPS. The performance disparity between the capacities is a result of the lower capacities using 64Gbit dies and the larger using 128Gbit dies. 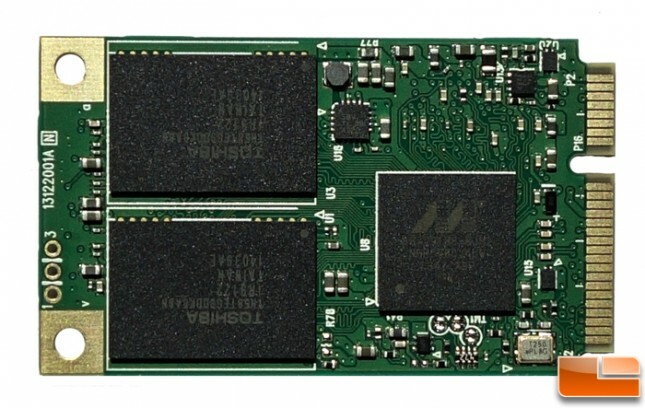 The M5M sported the Marvell 88SS9187 controller and if you squint hard, you may be able to see that the controller on the M6M drive is a Marvell 88SS9188. The big difference between these two is the former is an eight channel controller and the latter only four channels. Given that there are only four NAND packages on board, no real loss in performance would be realized as a result. 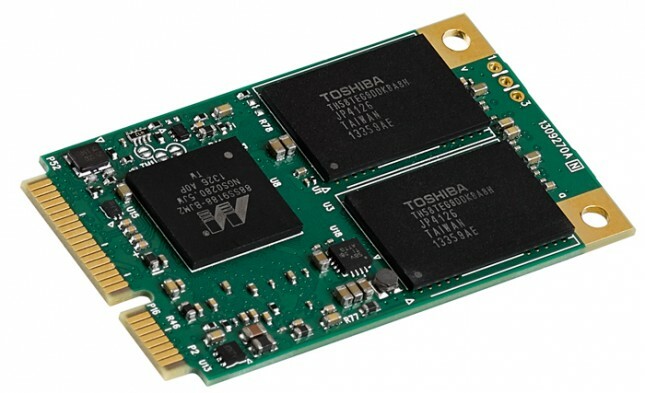 The NAND still uses Toshiba 19nm MLC flash chips and for this particular drive, there are four total packages with a capacity of 16GB each. The NANYA DRAM DDR3 cache used on the drives vary with capacity, starting with 128MB for the 64GB drive to to 768MB for the 512GB drive. The 256GB drive we are testing has a 512MB cache.